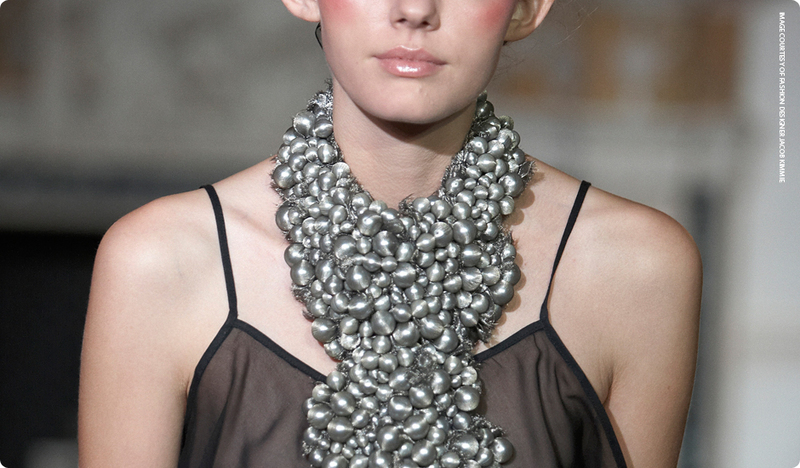 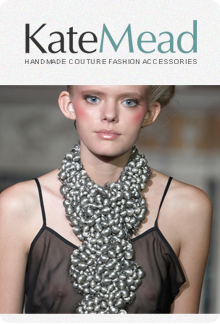 Kate's handmade couture jewellery has appeared at London Fashion Week on two separate occasions. 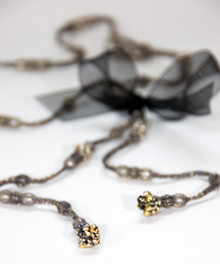 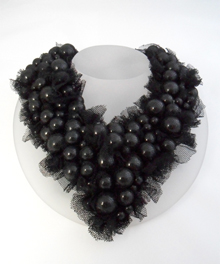 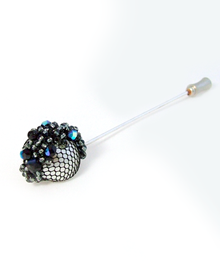 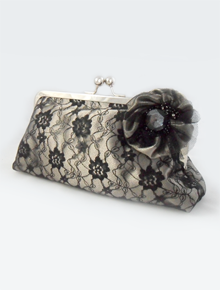 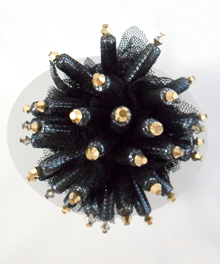 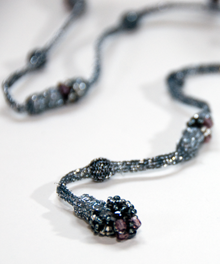 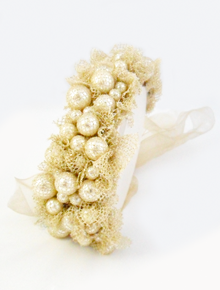 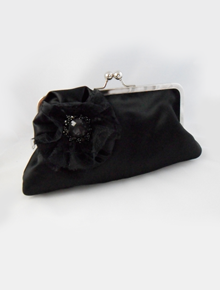 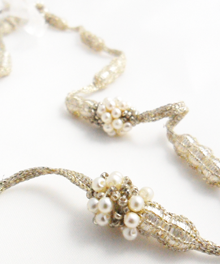 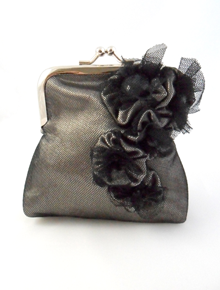 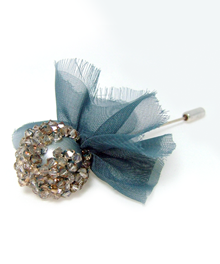 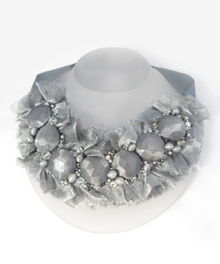 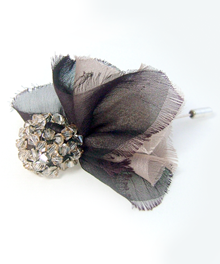 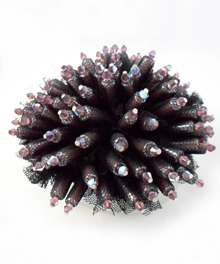 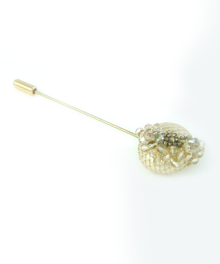 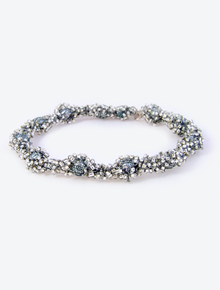 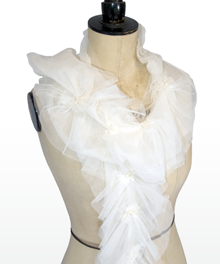 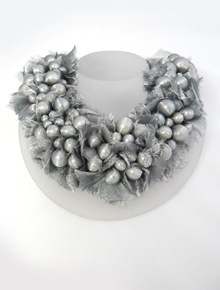 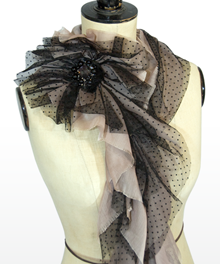 Kate Mead specialises in Handmade Couture Jewellery and Fashion Accessories. 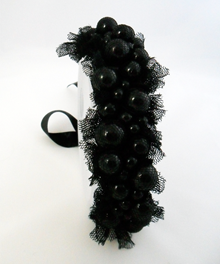 Kate’s designs have always been the outcome of her continued interest and passion for testing and exploring the possibilities and restraints of the materials and fabrics she works with. 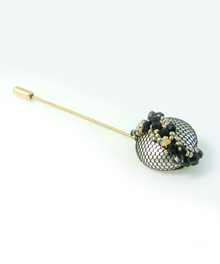 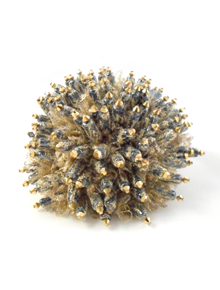 Kate’s work is the culmination of both her research and experimental inquisitive nature to discover new methods and techniques that feed into the outcomes of her products and collections. 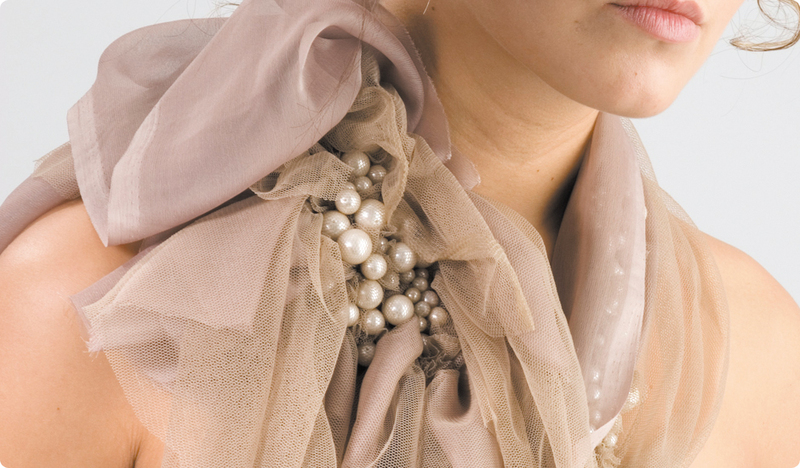 Her accessories, some of which have appeared at London Fashion Week or featured in the showcase windows of Selfridges London, are truly unique and delicately handmade using materials sourced and developed by Kate to form her couture collections. 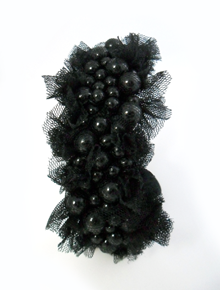 Kate is committed to making sure each piece is an individual couture response, a reaction against mass produced manufactured products. 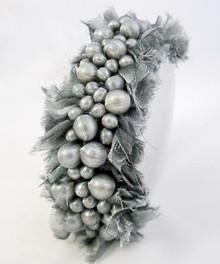 She is devoted to each design and the processes involved when creating the final handmade product for her clients to enjoy.